Before there was Uber, Lyft, or Sidecar... there were taxis. Yup -- good ol'-fashioned cars with meters that you either called ahead for or hailed on the street. And though we often use the former out of sheer convenience, there's something about getting in a real cab that's oddly refreshing (especially when you can see the Uber car you just requested driving in the wrong direction on your phone. BRO, WHERE ARE YOU GOING??). 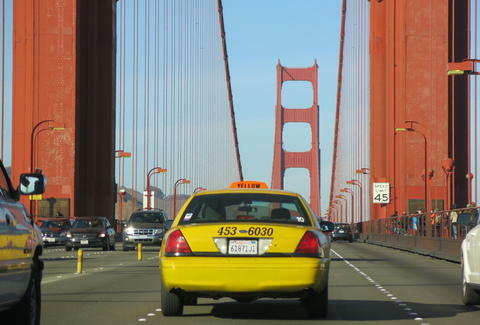 STILL... taxi rides in San Francisco aren't without their potential problems. So, we did a little research (including talking to an actual dispatcher) to find out just what your rights are when you get into one of SF's approximately 1,700 cabs. If you have so much gear that your departure is delayed because it’s being loaded/unloaded, your driver can activate the meter (but he has to let you know he’s doing so). Also, where are you going and can we come? Your driver HAS to allow it between two (or more!) passengers, and he can’t charge you more than the fare shown on the meter at your final destination (aka: no restarting the meter when you drop the first person off). But only for up to 20 dollars. If he doesn’t, he needs to pull over and get some. 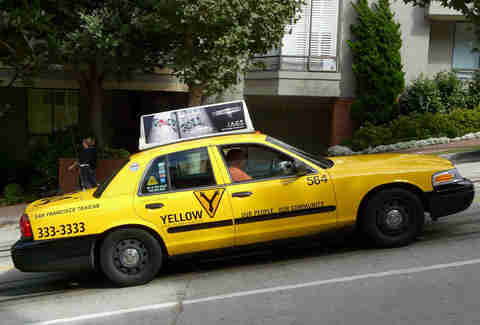 Your driver needs to tell you at the beginning of the trip, but FYI: the fare will be 150% of the amount on the meter. So, if the meter says $100, you’ll owe $150. Plus tolls. Crossing a bridge? Your driver can ask for the toll in advance, regardless of the direction in which the toll is collected. Yup. If there’s ever a dispute about how much you owe, the driver is obligated to drive you to the nearest police station at no additional cost and let the men in blue figure it out. If the decision is in your favor, the driver also has to take you back to your original destination at no charge. Because that won’t be the most awkward cab ride of your life. Don’t be the guy who barfs in a cab. Just don’t. But if you are (whyyyyy are you that guy? ), know that your driver can’t charge you more than $100 (though probably you should give him an enormous tip for being the guy who just barfed in a cab. Also, how much would you have to vomit for it to be MORE than $100??). Junk don’t fit in the trunk? Your driver can charge you one whole dollar for each bag that doesn’t fit in the backseat or in the trunk with the lid shut. Okay, first: it has to be a major card, like Visa, AmEx, MasterCard, or Discover. Second: if the driver says the credit card machine is broken, then ask him to take your card number manually, as all drivers are supposed to have a manual credit card imprinter in the cab just for that purpose. If he says he doesn’t have that, then insist on calling dispatch. Basically: you have to pay, but you don’t have to do it with cash under any circumstances. And if a driver does try to pull the "my machine is broken" lie, report him so that, as our trusty dispatcher said, "we can fix the machine or we can fix him." ... at least not in the moment. 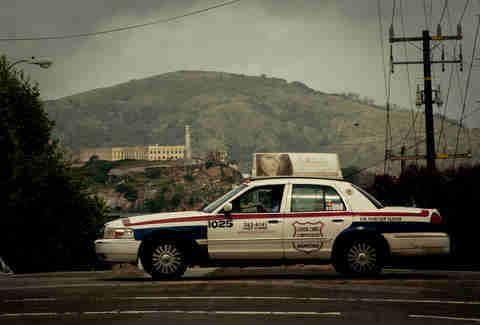 Save for calling dispatch or calling the police, most of the time you just need to pay your fare and get outta there. BUT, don't do so without recording the name of the cab company, the cab number, the driver's name, and the date and time of the cab ride. You can either report your issue directly to the cab company and let them handle it, or you can call "311" or 415.701.2311 and let the city deal with it. The good news is that cab companies and the city take all complaints super seriously. Daisy Barringer is Thrilist's SF Editor and one time a cab driver drove off while she had one foot on the ground and one foot in the cab. He didn't stop for an entire block. Sadly, she'd already tipped him 25%. Follow her for more fun stories like this on Twitter @daisy.